Stop sleep-induced wrinkles before they start with this insanely simple, medical-grade silicone that keeps your chest and décolleté taut and smooth while you slumber. · Reusable, just wash and wear. · Silicone Pad Cleanser (07673) refreshes & preserves your kit. Before going to bed, simply wash and dry your skin thoroughly, keeping it free of moisturizers and creams. 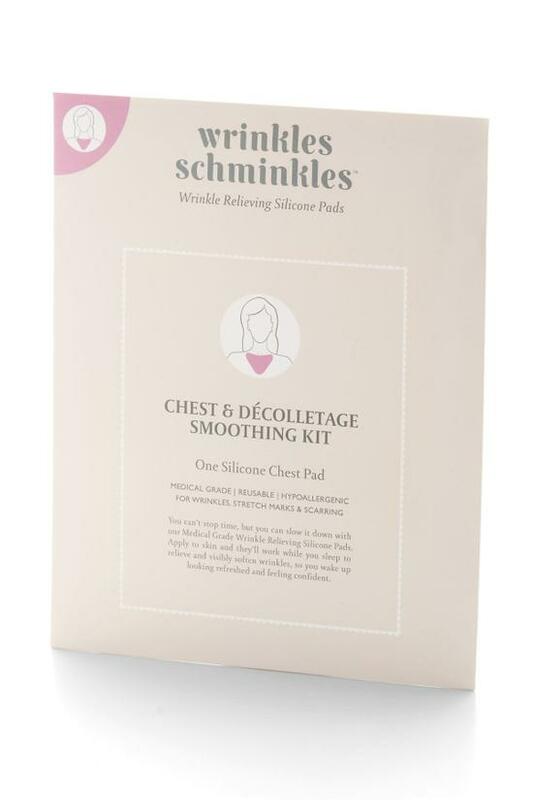 Peel the plastic film from the Wrinkles Schminkles Silicone Chest Pad and apply to your skin with the adhesive side down. Remove in the morning when you get up, and reapply the plastic film to store. Not one to shy away from a challenge, the Wrinkles Schminkles team developed an affordable, super-effective and non-invasive range of products to help women look and feel confident, as they begin to age, gracefully.